Is A Psychic Vampire Sucking YOU Dry? 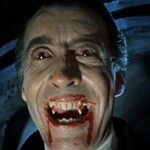 We have all been brought up with the notion of vampires. We can easily imagine Count Dracula, in his long black cape, suckling the neck of a hapless victim. Stories of vampires fill the silver screen, Dracula, Son of Dracula, Blacula, Nosferatu, Twilight, Interview With A Vampire and Blade are only a few of the many movies that are based upon Bram Stoker’s classic portrayal Dracula. Stoker’s bloodsucking, shape-shifting, immortal villain Dracula is inspired by the life of Vlad the Impaler, the Transylvanian born 15th-century prince of Wallachia. Dr. Rita Louise reveals the truth behind psychic vampires. Find out what an psychic vampire looks like. Discover if you have been a host to one of these energy sucking creatures. Find out what you can do to rid yourself of an psychic vampire. Tagged blood sucker, documentary, Dr. Rita Lousie, energy drain, energy medicine, energy protection, energy vampire, fatigue, protection, psychic, psychic protection, psychic vampire, vampire, victim.